In MURDER MOST FOWL you and up to three of your friends assume the role of British birders loose on a common on a lovely sunny day to try and construct the most prizeworthy book full of bird pictures, representing your excellence at birdwatching. Collect an array of Piptits, Grushes, Runceys and Wardlurs, while casting obstacles in the path of your friends, all in good-natured spirit of competition. Just be careful, because if pushed too far, someone may decide the best way to win the bird-watching competition is through Murder Most Fowl. Want to Buy Murder Most Fowl? For international customers, you may prefer to buy print-on-demand via DriveThruCards (the same printer we use for our local stock). 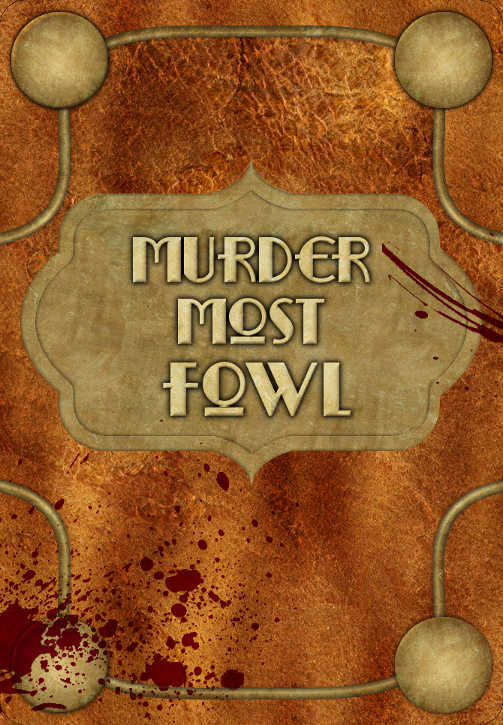 You can buy Murder Most Fowl at DriveThruCards as a professionally printed card deck. Already bought Murder Most Fowl? Download the latest revision of the Murder Most Fowl rulebook. You can also follow us to receive notifications of rules updates!